New Delhi, is a time capsule. From the ruins of the Old Fort to the Presidential Palace on Raisina Hills, the city of Delhi has allowed time to impregnate it with its tales. 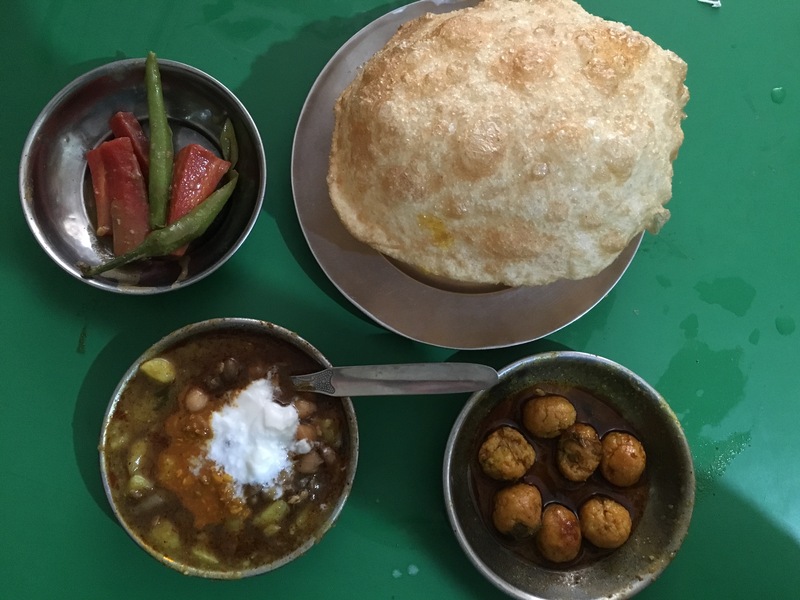 In pursuit of my fascination with the garnish of history that makes Delhi so delectable, I decided to walk through the streets of Roshanpura, where my grandmother was brought up. I came across unique stories of different traders in the area. 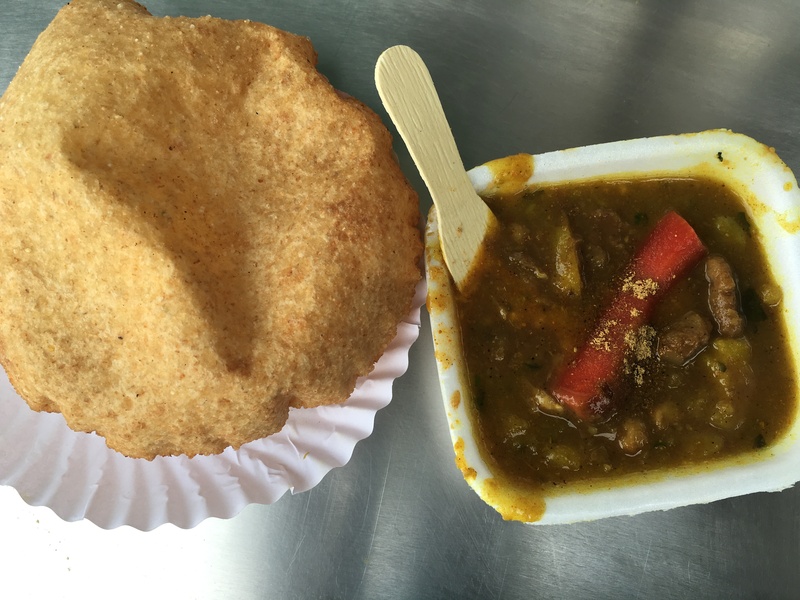 One particular conversation revolved around the local food that has been popular in Old Delhi for a long time. Manish, a rather amicable man gave me a list of places I could find amazing food with a set of directions to find my way around. One place he seemed very excited about was Kake di Hatti, in Fatehpuri. Although I have been around Chandni Chowk few times, Fatehpuri was new to me. Located next to the Fatehpuri Masjid on a rather busy street, Kake di Hatti welcomed me with the sight of preparation of gigantic naans at the front counter. It boasted of three halls to seat its patrons, both humbled by a large bustling crowd and superseded in grandeur by the aroma of fresh paranthas and curries. As we entered, the manager showed us the way to the family hall on the first floor. Understanding my enthusiasm he even showed me the kitchen and the preparations that go on all day. Kake di Hatti is a pure vegetarian eatery and offers a variety of curries, stuffed naans, paranthas, biryanis and desserts. Our order was a simple Kadhai Paneer and Aloo-Pyaaz naan. The paneer curry was not very spicy and tasted much like what is expected at a typical north Indian joint. However, the naan stole the show. It was not only enormous, it also tasted incomparably scrumptious. It was slightly tangy and the right mix of crunchy and soft. The naan had the perfect balance of flavours . Better yet, the generic paneer seemed to only compliment the naan. Believe me when I say the naan was huge, it is enough for two people. My cousin and I managed to finish only half of it, getting the rest packed for later, going with the promising description by the waiter who mentioned that the naan would taste equally good and fresh even after 15 hours. And so it did. 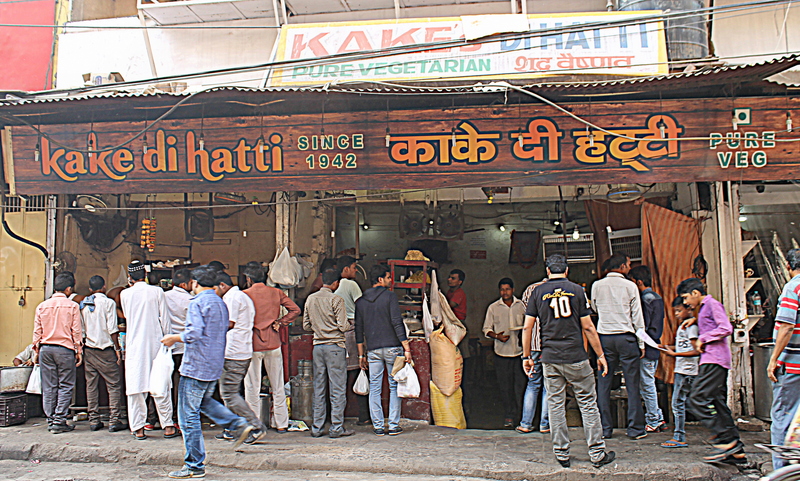 Established in 1942, Kake di hattii now has 3 more branches around the city and by the claims of the manager, they uphold the quality. Honestly, the naan that I ate there was one of the best that I ever had and the popularity of this joint seems to prove that. 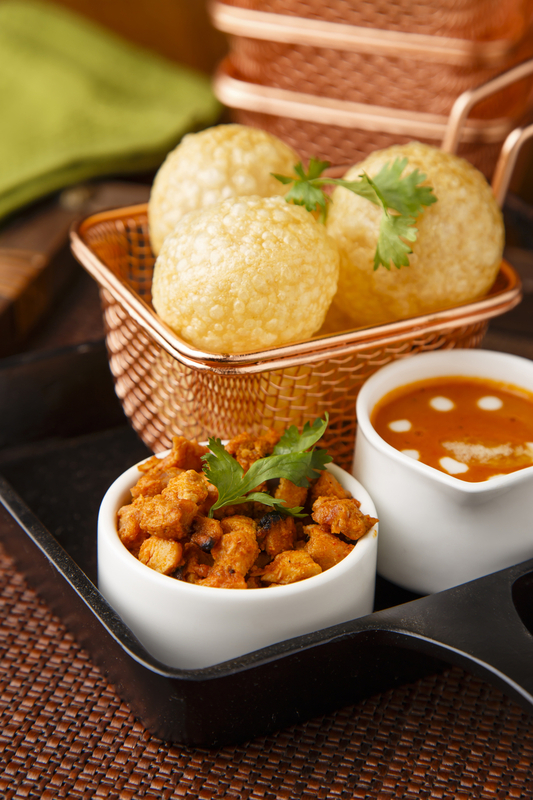 With new restaurants opening up almost every day, Delhi has become a gastronomic delight for all the foodies out there. The city has something to offer for every palate. Some provide affordable meals while there are places where one can just splurge and indulge themselves in an eclectic spread of cuisines. 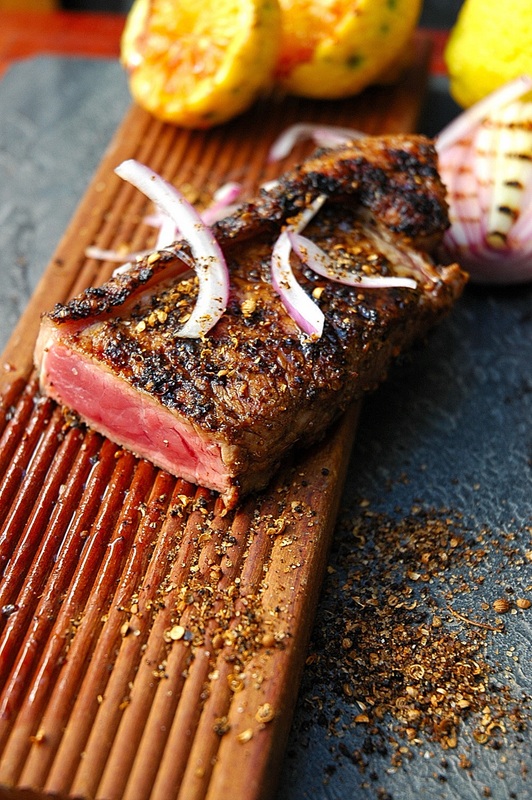 Chefs are willing to experiment with different cuisines and spices to come up with avant-garde combinations. In an upscale market like Sunder Nagar, Number 8 fits in like a glove with its aesthetic and exotic décor. Do not fall for the plain looking exterior as the interiors are gorgeous and bespeak luxury. Spread over 3 floors, the restaurant wows you with its opulent ambience. Ornate chandeliers and rustic walls create a beautiful contrast. 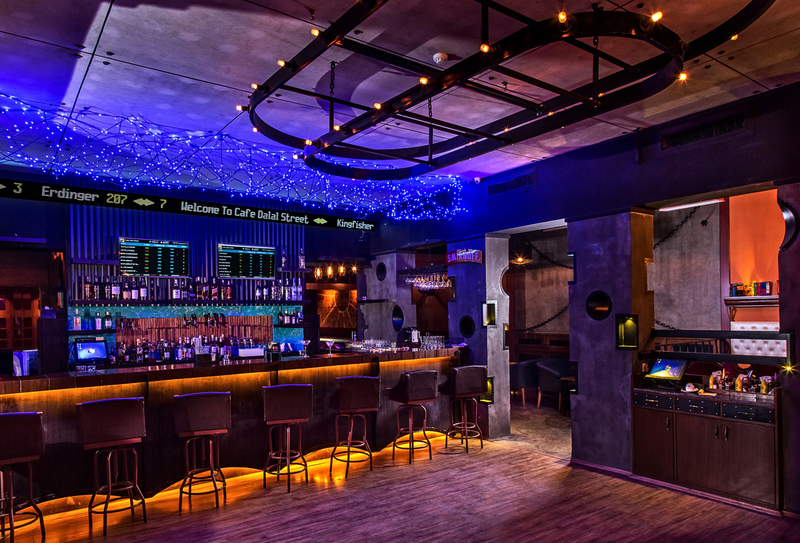 According to the co-owner, Mr. Shivam Bhaskar, they have also taken cues from Pinterest. The menu has some familiar and some not-so-familiar dishes, all prepared with excellence and presented with utmost finesse. Providing a sundry gourmet meal is high on their priority list. From risottos to biryanis, they have it all covered. The mystery behind the name ‘Number 8’ was solved by Mr. Shivam who attributed it to two reasons. Firstly, the address of the property itself is Number 8 which lends it the name. Secondly, 8 is considered to be an auspicious number as per Chinese tradition. Our gourmet experience began with Vegetable money bags. These crispy fried dumplings were shaped like money bags and filled with steaming hot veggies. Olive Chicken is one of the most innovative dishes you could ever have. What comes on the platter are savory pieces of chicken grilled on toothpicks. 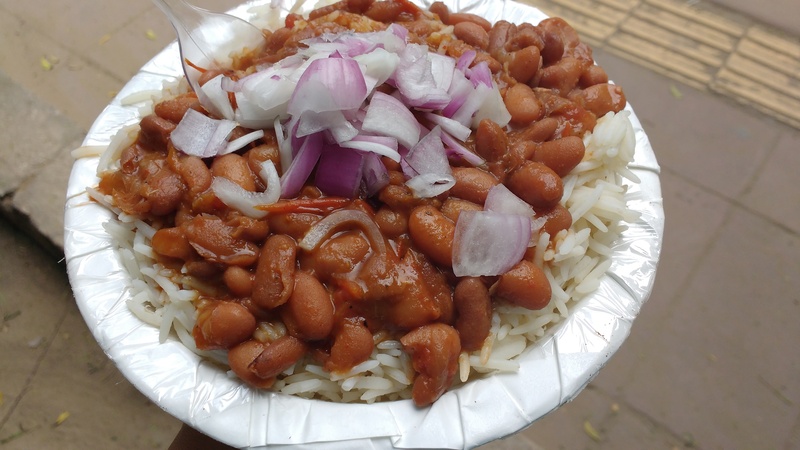 But take one bite and you can decode the name of this dish. Each piece of chicken has an olive at its core. How they achieve this is beyond my comprehension! Sambal spiced Grilled Fish in banana leaves reminded one of the Parsi delicacy, Patra ni Machhi. It was cooked really well, exterminating the ‘seafood’ smell from the fish and served with pickled onion rings and raw mango shreds. Amongst the main course we tried a Wild Mushroom and Red Wine Risotto which was a heavenly infusion of mascarpone cheese, mushrooms and wine. The final product retained the flavor of every ingredient used. Kesari Lamb Boti was basically well marinated chunks of lamb, cooked to perfection and served with green chutney. I found the kesari flavor inadequate. Dahi Dhaniya Murg was a chicken curry prepared with yoghurt and coriander but again I found the coriander flavor missing. This particular dish was disappointing. However, the Achari Aloo served with it went well with the curry. The star of our meal was definitely Khatte Baingan Ki Biryani with Kamal Kakdi Raita. The Hyderabadi delicacy, Baghara Baingan (eggplants stuffed with spicy filling) was used to prepare this Biryani. Rather than serving it with the regular saalan or Raita, the chef goes on to add crispy chunks of lotus stem to yoghurt to make a raita. The Vanilla Meringue with fresh fruits was a befitting end to the meal. The impeccable presentation did not deter us from wiping off the glass clean. It was irresistible! 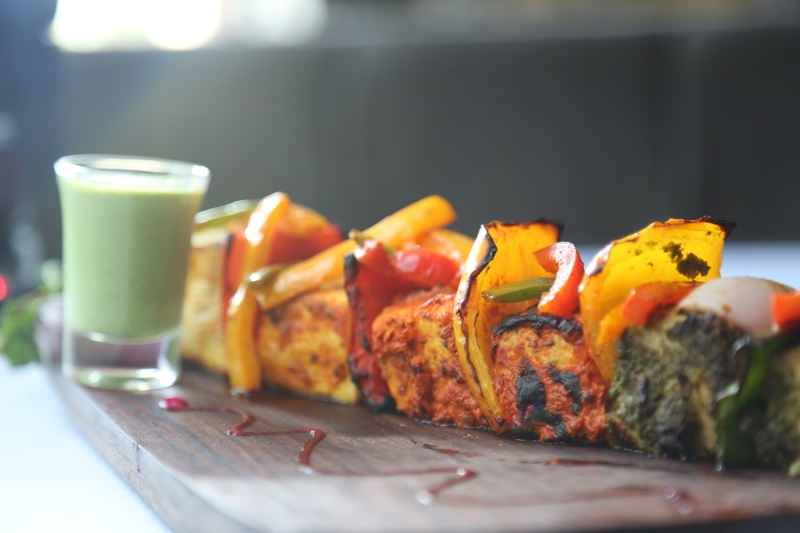 Number 8 is a restaurant that offers you the best of global and Indian cuisine under one roof. So if you want to pamper yourself with a stellar meal, do give this place a visit. Storm Bar and Grill has been around for quite a few years now. Being at a walking distance from the Kailash Colony metro station makes it quite accessible. A fine dining restaurant, Storm Bar and Grill recently launched its new summer menu. The new menu is fully equipped to tantalize your taste buds and make you drool. 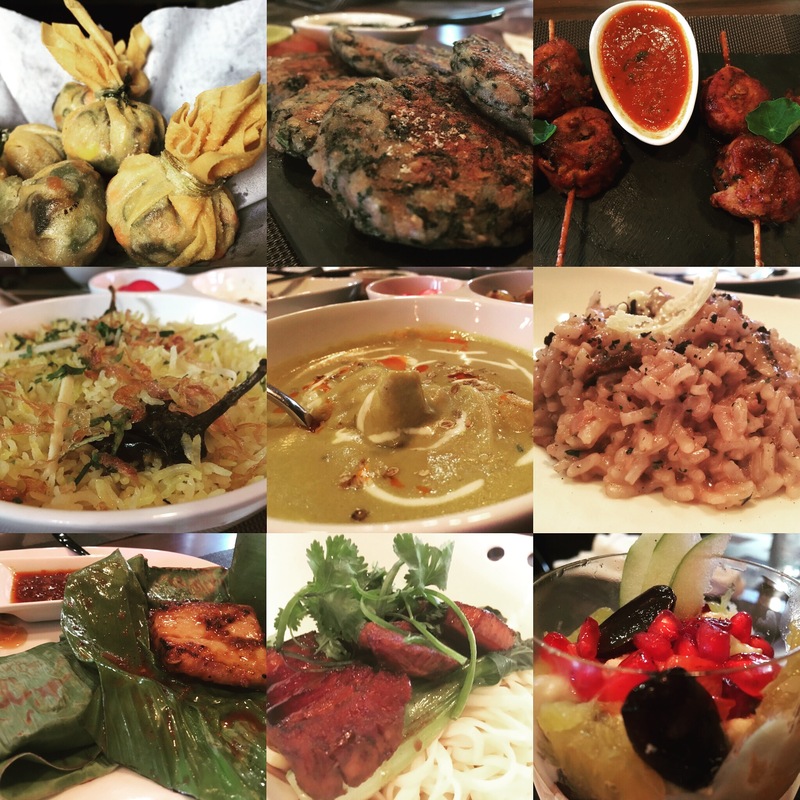 They recently hosted a Bloggers’ Meet where we got a chance to sample a few dishes from their menu. The restaurant has quite an impressive décor. It is very spacious and every wall is decorated in a different manner. One wall has tiny platforms for keeping candles while the other is vibrant with a meticulous arrangement of colorful glass bottles. A beautiful bar counter and ornately designed bar stools are sure to grab your attention and lure you into a drink. You could choose plush and comfortable couches or the simple chairs to proceed to your meal. You can begin by cooling off with their Pomegranate Mojito or an LIIT. We began our culinary ride with Ginger Chicken served with a dip. 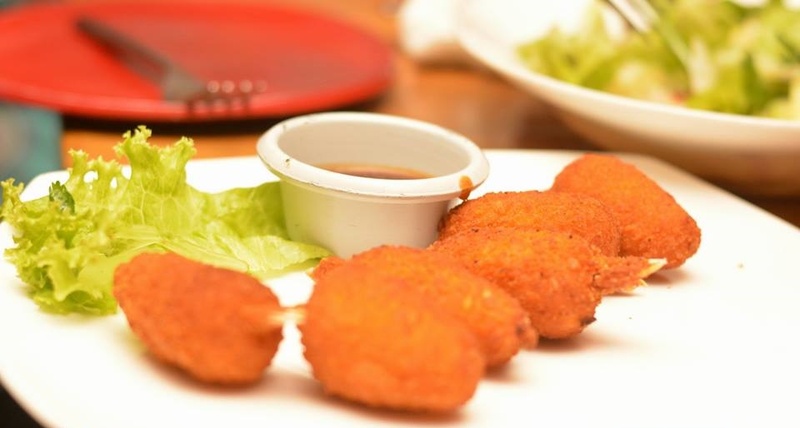 Strips of chicken are coated with ginger and deep fried till they become crispy and golden brown. The Mutton Peshawari Kebabs were well marinated and very succulent. Smoked Chicken Pizza was a thin crust Pizza topped with long and thin slices chicken, olives and cheese. The generous amount of cheese made me clap with joy. The Dahi Ke Kebabs here were definitely one of the better variants I’ve had of late. Teardrop shaped, the tip was decorated with hung curd and juicy pomegranate seeds. The Mushroom Duplex was very bland and even the sauce that accompanied it could not save the dish. Kotmir Chicken Tikka was an absolutely brilliant blend of spices. Spicy and tangy, the flavours leave you overjoyed. Fish Orley consisted of grilled fish with Lemon Butter Sauce. The sauce was HEAVENLY! In fact, by the end, the poor fish was left to fend for itself as the sauce was wiped clean off the plate! 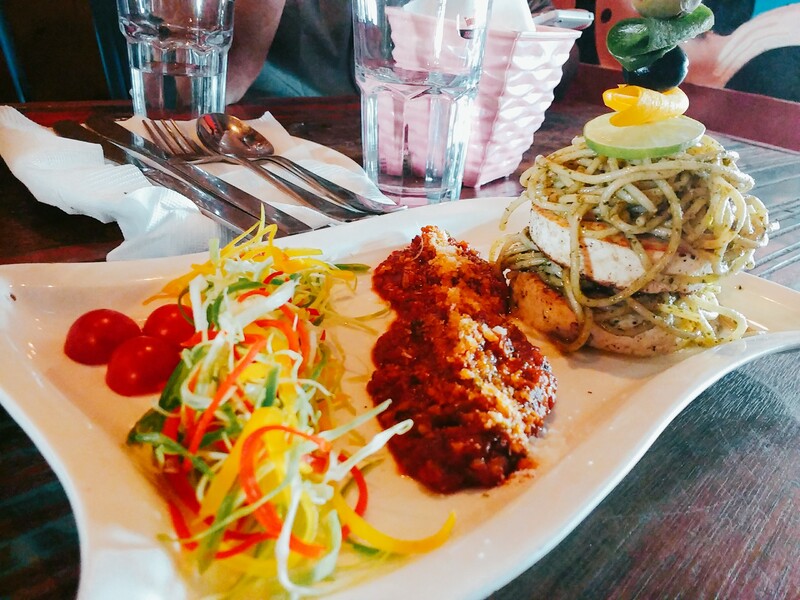 The Kotmir Chicken Tikka and Fish Orley are a must try here. Your main course here must include their Dal Makhani. Aptly named ‘Dal Storm’, it really does take you by a storm. Unlike many other restaurants, the texture is very creamy and the rich buttery taste is a blessing. Paneer Lababdar was good to go with a Tandoori Roti or a Butter Roti. Mutton Rogan josh tasted nothing like the Kashmiri Rogan josh but was delicious in its own way. Among desserts, we tried the classic Brownie with Vanilla ice cream. But the Fried Ice cream was quite an ethereal experience for me. A scoop of Vanilla ice cream coated with cornflakes is deep fried until golden brown and coated with honey. The binary of hot and cold, smooth and crunchy works wonders for your palate. Again, this one is a must try. If you’re looking for places to organize family gathering or a quiet lazy lunch, this is the place to be. Gadre premium seafood, one of the largest exporters of seafood in the country, recently organized an event for the launch of their new frozen product called Gadre Crabsticks. The event hosted over thirty food, travel and lifestyle bloggers and photographers. 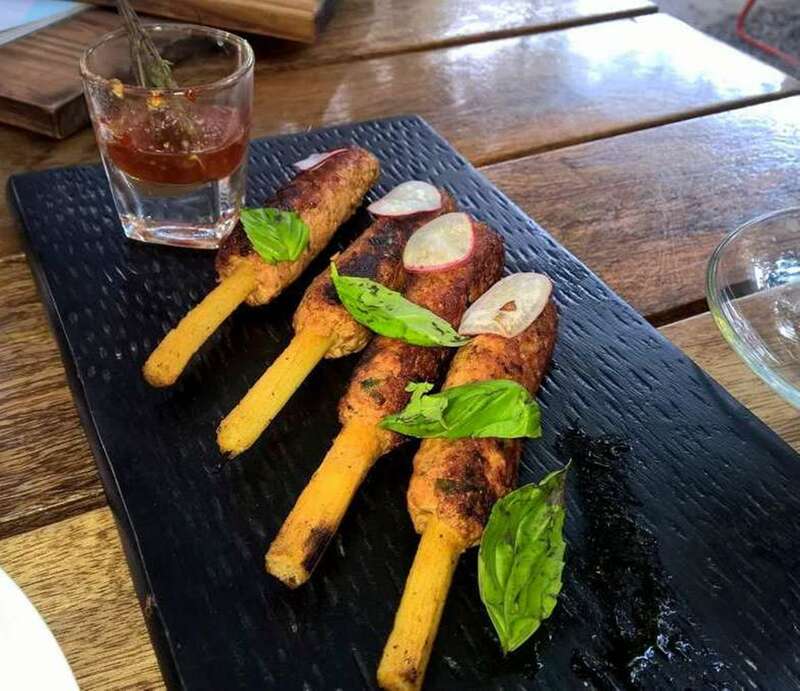 Held at Cafe Public Connection, Connaught Place, the event had an assortment of dishes prepared using crabsticks as the main ingredient. The various dishes prepared with crabsticks included cold coconut crabstick soup, crabstick spring rolls, crabstick salad and crab cakes. All the dishes were prepared with unique recipes by Chef Vikas Khanna, who endorses the brand and its range of products. Gadre crabstick is a ready to eat frozen product which can be eaten right out of its packaging. As demonstrated at the event, it can be incorporated into different recipes, ranging from salads to drinks. The crabsticks taste like real crab meat however these are not made with crabs. Yes, Gadre uses a Japanese favourite called Surimi for the preparation of Crabsticks. Surimi is a fish product made by ground meat from the white fleshy fish and is widely used in Asian cuisine to imitate meat flavours like crab, lobster and other shellfish. There are various benefits of using surimi in the place of real crab meat, one of them being the low fat content in surimi. Surimi is also a cheaper alternative to real crab and lobster meat and thus becomes one of the highly consumed seafood in various communities and cuisines. Gadre is the largest producer of surimi in the country and markets a variety of frozen products that serve as imitation meats, for instance crab claws, lobster bites and crabsticks. The crabsticks are light and easy to use. They have an authentic delicious crab flavour and are packed with protein. A 250 gram pack contains 16 sticks that have a shelf life of over a year. The crabsticks are precooked and can be eaten straight out of the pack or used in different recipes, including curries, snacks and salads. All this at just Rs. 150 for a pack sounds amazing! Gadre is the first and only brand to introduce Surimi in India and by the looks of it; I believe this will bring a huge change in the seafood consumption patterns in the country. Bengal is known for its numerous ambrosial delicacies and when it comes to desserts, Bengalis surely make some of the finest. The well-known sweets from Bengal are easily available around the city but to indulge in the most authentic form of Bengali dessert, one has to travel to Chandni Chowk market. In the ever so crowded streets of the market, lies a small and peaceful shop, known for its delicious sweet treats, called Annapurna Bhandar. In 1920 Late Mr. Mohinimohan Mukherjee moved to the city of Delhi as a railway employee but unfortunately ended up losing one of his legs in an accident in the following year. Unable to continue as a railway operator, he decided to open a small sweet shop in the city in the year of 1922 to cater to the small Bengali community that resided in the area. Within seven years it grew in popularity and the final version of the shop was ready in the main market. The shop, then, had similar interiors to that of a railway coach. However in order to keep up with the wear and tear, the interiors had to be changed to its present form. 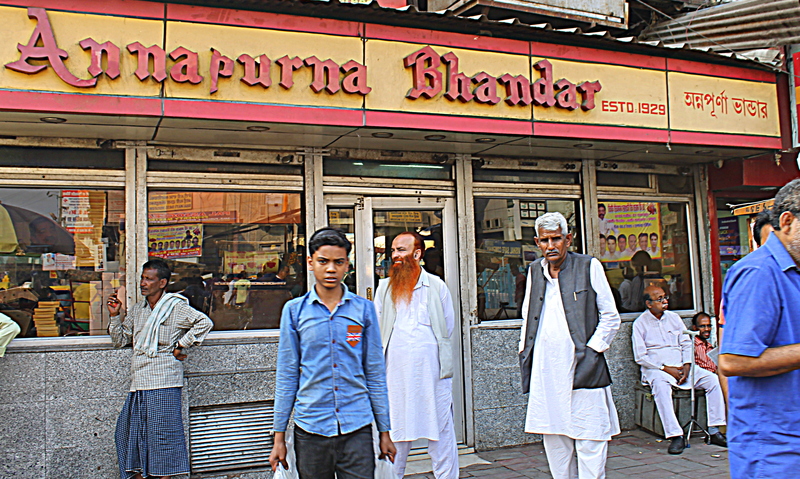 The shop, Annapurna Bhandar, today is owned by the third generation in Mr. Mukherjee’s family and still retains its former glory despite its modern design. The shop offers a wide-ranging menu right from the traditional spongy Rasgullas to the lesser known yet exquisite desserts like Kadambari. As I entered the shop, seeming perplexed by the umpteen choices available, Mr. Mukherjee asked me if I was looking for an extra sweet dessert or one that wasn’t too sweet. I decided to go with lightly sweetened and was suggested to try Rasomadhuri and Mishti Doi. I have to agree, I was hearing the name Rasomadhuri for the very first time and this made me even more excited to try it. Rasomadhuri has a very lightly saccharine taste and feels granular while chewing. It leaves an aftertaste of fresh pistachio in the mouth. Mishti Doi is velvety and flavorsome. The sugar in both the desserts was well blended and did not taste like extra sweeteners had been added. All the sweets in the shop are made with cow milk and prepared fresh every day. Even with the immense popularity of the shop, Mr. Mukherjee remains uncertain of the future as the following generations are not keen on maintaining the family business. Despite the uncertainties, I am sure Annapurna Bhandar will continue serving delectable sweets for years to come as it is not just any family business, it is a legacy.